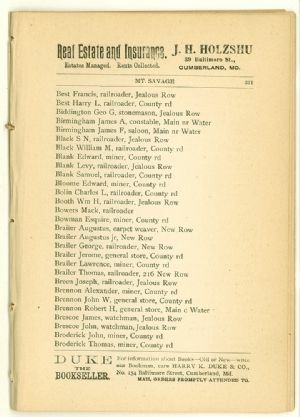 Street addresses--Maryland--Allegany County--Directories; Street addresses --Maryland--Cumberland--Directories; Allegany County (Md.) --Directories; Frostburg (Md.) --Directories.